After nearly 25 years in indie-rock band Spoon, drummer Jim Eno has become a connoisseur of hotel breakfasts. “Most of it’s not good,” he said with a laugh, having recently finished breakfast in Washington, D.C., on the day he spoke to The Spokesman-Review. This tour brings the band to the Knitting Factory on Monday. 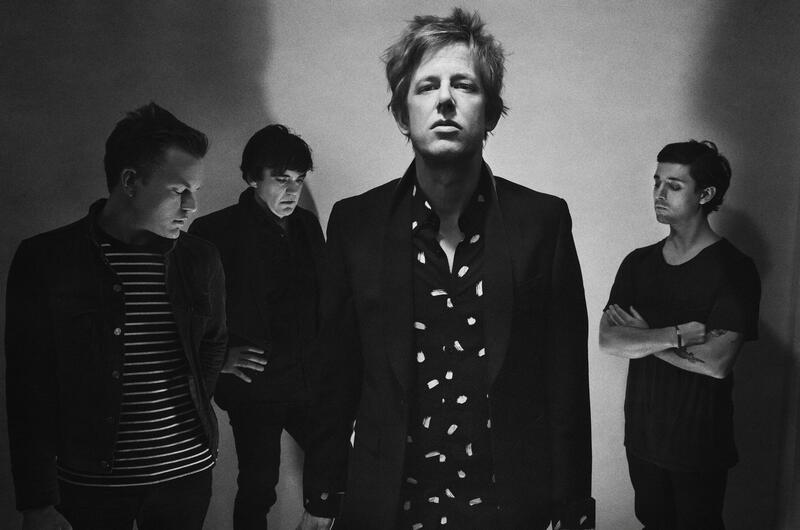 For “Hot Thoughts,” Spoon went back to the beginning, releasing the album through Matador Records, the label that released its debut album, “Telephono,” in 1996. Every album cycle, Spoon typically completes an album before shopping it around to different labels, which allows the band to maintain creative control. The band – Eno, singer/guitarist Britt Daniel, keyboardist Alex Fischel and bassist Rob Pope – kept in touch with the folks at Matador since releasing “Telephono,” and when it came to “Hot Thoughts,” the New York City-based label showed the most enthusiasm. Not that Spoon needs much help; “Hot Thoughts” follows a string of critically acclaimed albums. “They Want My Soul” reached No. 4 spot on Billboard’s Top 200 chart, and 2005’s “Gimme Fiction” and 2007’s “Ga Ga Ga Ga Ga” topped Billboard’s Indie chart while 2010’s “Transference” peaked at No. 2. Even still, getting into the recording state of mind can take awhile depending on where Daniel is in his songwriting. “Do I Have to Talk You Into It,” on “Hot Thoughts,” for example, was brought into the studio for the band to work on, but Daniel brought “Can I Sit Next to You” into the studio almost fully formed. “I would say that it does take Britt a little bit of time after all of our touring to get into that creative headspace and switch gears towards recording but once we get there, we get into our well-oiled machine mindset,” Eno said. The band recorded in both Fridmann’s Tarbox Road Studios in upstate New York and Eno’s own Public Hi-Fi in the band’s hometown of Austin, Texas, both for cost reasons and, as Eno puts it, to preserve the band’s sanity. Time away from Fridmann also allowed the band to experiment, which has admittedly gotten difficult after nine records. Experience helped the band find new sounds, and it’s helped the band craft a better live show, too. They’ve worked on transitions between songs, which Eno said helps the flow of each concert, and added guitarist/keyboardist Gerardo Larios, who plays off Fischel, to the touring band. Published: Aug. 24, 2017, 4 p.m.